Colorful leaves, breezy weather and cozy sweaters – the signs of the new season have arrived! Just as we pack away our Summer attire for warmer clothing, let’s make room in your shelf for the Fall beauty essentials. 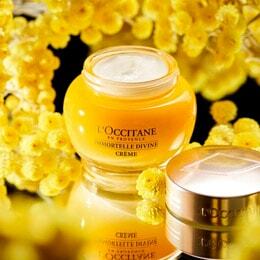 Explore L’OCCITANE’s selection of skincare, body care and fragrance products for season-long beauty in the festive months ahead.